Dirt and grime on your fence may be contributing to the discoloration of lumber. Make sure you clean the fence regularly to keep it free of debris. Use a broom to brush off loose debris, and occasionally use a garden hose to wash any major build up on the fence. Sweep off loose dirt and debris with a broom to limit the use of water to clean the untreated cedar lumber. The most common cause of fences becoming covered in dirt and grime is splashed up from the ground, which is why rot most often starts from the bottom. You can control the splashing up of dirt by using a ground cover, such as gravel or stone, but it is best not to use organic materials like bark or rock. In addition, any plants along the fence should have space between them and the fence. As your cedar fence ages, the lumber eventually turns a gray color or fades. This natural process happens as the wood is exposed to the elements. After a few years, pressure washing the fence will help restore its color. When pressure washing cedar, use a wide spray attachment and lower pressure. Once you have finished cleaning the grime and the wood has color again, apply a fresh coat of cedar sealant for several more years of protection from the Texas heat. With regular care and cleaning, your fence will last for years and always look great. You can expect an occasional repair and may need help with larger tasks like staining. 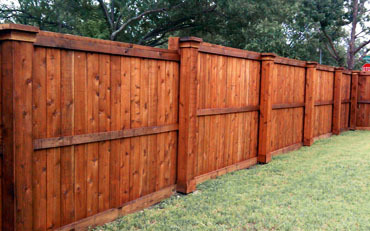 Contact us to get help with your fence repair needs and a sealant to protect wood from the Texas heat. If you are thinking about installing a fence on your property — which can be a wonderful idea if you’d like to make it safer and more secure — then you might be thinking about doing it yourself. Even though this might seem like a good idea, many homeowners find that they are better off hiring a fence contractor to help them. Here’s why. Various tools and pieces of equipment are needed for things like digging holes to put in fence posts and otherwise putting up a fence. If you don’t have the right tools or equipment, you’re going to have a hard time getting the job done, and you might end up spending more on tools and equipment that you won’t even use later on than you would have spent on hiring a professional to install your fence for you. Different fences work well for different people. If you’re just looking for a decorative fence, for example, your needs might be very different than if you are looking for a fence that can help you contain several large dogs that might climb or dig. When you work with a pro, he or she can give you advice about picking the fence that is best for your needs and budget. Putting up a fence is really hard work, and depending on the size of your yard, it could take a lot more time than you think. If you hire someone to do it for you, however, you can just sit back and relax. Your fence can have a major impact on the curb appeal of your home. It’s hard to beat a professional installation when you want to ensure that your fence looks its absolute best after it’s installed. 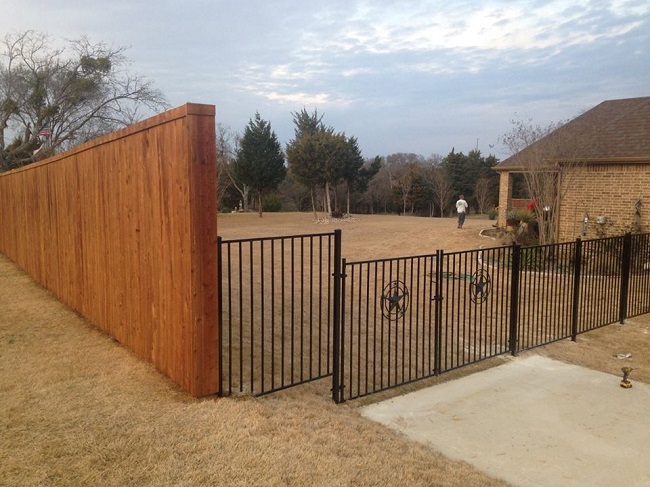 As you can see, even if you are thinking about putting up your own fence, you might just find that hiring a professional to install it for you can be a much better idea. Luckily, if you contact us, you can find out more about our professional fence installation services. Enrich your backyard with an outdoor patio deck! Outdoor patios are the perfect settings for family get-togethers, kid’s birthday parties, and just relaxing after a long, hard say of work. Need space for a hot tub? A grill? An outdoor dining area to entertain family and friends on the Fourth of July? We’ve got you covered. Every part of the deck, from the design and shape to the materials, is selected by you and built by our expert craftsmen. Custom made to your exact specifications, Philip’s Fences will build you a sturdy, high quality wooden deck that will last you a lifetime. Tough enough to handle Texas’ harsh rains and blistering summer sun, our decks are ideal recreational areas for anyone who loves spending time in the great outdoors. An elevated patio can give you a beautiful view of the mountains beside your house, or of your wily dogs running around in the grass. Add a pergola over your patio to give it some shade, so that you can enjoy your lovely backyard in all sorts of weather; load it up with stylish outdoor furniture, like waterproof wicker couches and throw pillows, so you can sit out in the sun and enjoy a warm cup of coffee while also keeping a close eye on your kids. Outdoor patios are the perfect way to spice up your backyard while also adding value to your home. Contact us today for a free estimate, and turn your backyard into a stylish, comfortable retreat that you’ll adore! Homeowners have an array of things that they can do to their backyard to make it a more attractive and functional space. Adding a pergola is one of the easiest and fastest ways to accomplish this goal. Also, pergolas have many uses, so you do not have to worry about getting a feature that is limited. Knowing some ways that you can put a pergola to use will help you decide if it is the right addition for your home. If your family likes grilling or you have always wanted to grill on a regular basis, you will find that a pergola is a perfect place to house your grill and everything that you need to do your outdoor cooking. Also, depending on how much room you have, the pergola can also contain an outdoor dining area. Gathering around a fire at nighttime is a relaxing and enjoyable experience for almost everyone. Fortunately, you can make this a repeatable experience in your backyard with a pergola. Mixing up the environment that you socialize in can make for a better overall experience. Inside a pergola is an ideal place to socialize because you can add so much to the atmosphere with this particular addition. For instance, you can string lights along the top, put in comfortable furniture, and add potted plants, but these are just a few things that you can do to increase the overall appeal of the living space. 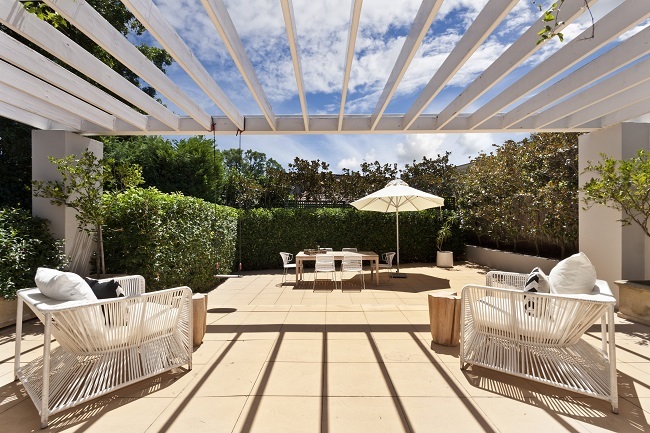 One of the great things that a pergola will provide is shade coverage. If you want to spend an hour or two outside, but you do not want to worry about getting a sunburn or burning up in the sun, this addition will give you enough shade to guarantee a relaxing and comfortable experience. These are just a few ways that you can use a backyard pergola, and all it takes is a bit of creativity to come up with even more. 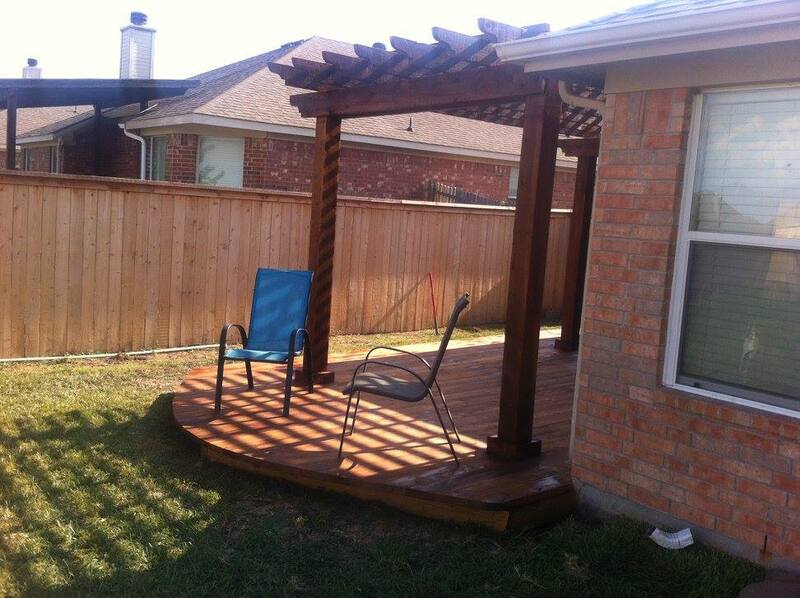 Contact us if you have any questions about building a custom pergola. When it rains, your fences may be damaged by dirt and debris that is at the base of the fence. To prevent splashed up dirt from causing damage, add hardscaping to the base of any cedar fencing materials. Avoid using materials like mulch and wood chippings, because they contribute to the problem and often bring insects, fungus and other problems with them. Materials like gravel, synthetic ground cover and stone are the best materials to use along with a wood fence. Another task that you will want to do regularly to prevent damage to your fence is clean it. Use a garden hose to remove any debris from the cedar materials. If the fencing has stubborn stains, use a light soap liquid and an old mop to clean off the dirt. In addition, adding a cap-full of bleach to the bucket of water can help remove stains. Try not to use too much soap or bleach because this can cause discoloring. In addition to the regular cleaning, when your cedar fencing begins to show its age and starts to fade, give it a good pressure wash. Use a wide-spray nozzle and keep it at a safe distance from the surface of the wood. Once the cedar has dried after washing, apply a new coat of sealant. Do this every few years for the best results and always use a sealant with a UV protector in it. 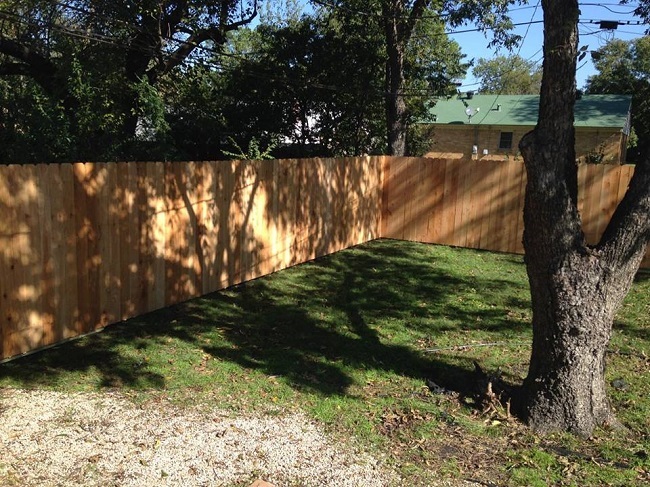 With good maintenance and regular cleaning, your cedar fence will always look as good as it did the day it was installed. 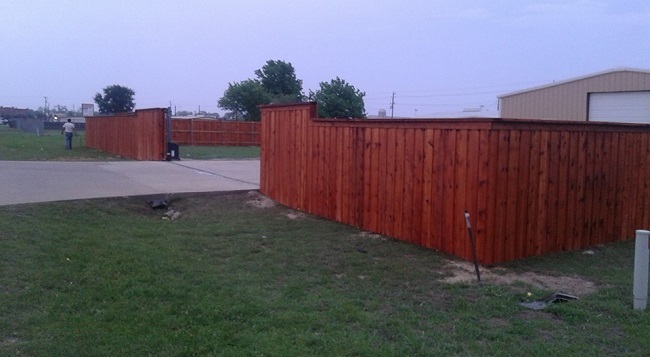 When you need help with the installation, repairs or maintenance to your cedar fence, contact us and we can help ensure it survives exposure in the Texas sun. Fences have come a long way, particularly in the last decade or so. The options continue to expand and, with those options, confusion can sometimes follow. Is vinyl a better choice for your needs than wood? How many gates make sense for you? Do you want full privacy or do you prefer an option that allows you to maintain a view of your surroundings? There are many things to consider when purchasing a fence. These five questions should help guide you toward the solution that will be best for your needs. Once you determine the option that’s right for you, you can begin your search for a fence contractor. 1. What is the main purpose of your fence? Whether your goal is to keep pets in, wild animals out, to protect your children from leaving the yard or just to add an element of decor, each type of fencing has its merits. 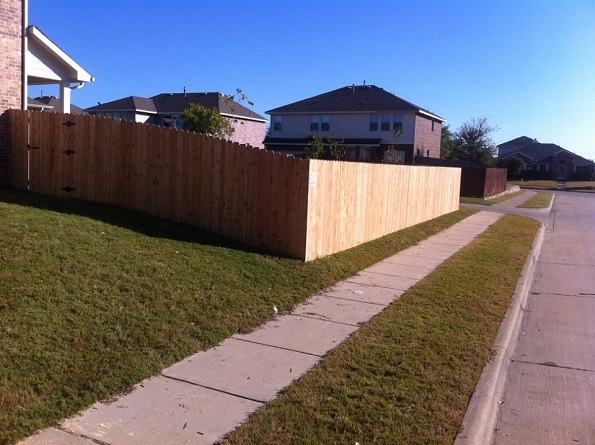 Be sure to consider your main reason for installing a fence as you review your options. 2. What style/look will work best with the current style of your home or business? The different types of fencing available can complement beautifully when used in conjunction with the style of your home. A modern or mid-century style home is often enhanced with a horizontal slat and a large brick Tudor style house pairs perfectly with wrought iron. We are happy to help you determine which style will be ideal for your setting. 3. Does your neighborhood have an HOA or any type of requirement that will limit your options? It’s important to read your HOA regulations prior to beginning the process of installing a fence. Everything runs more smoothly when you are in compliance! 4. Are you hoping for full privacy, semi-private or a more decorative solution? Homes along the main road or with an unsightly view nearby can benefit greatly from a full privacy option and decorative iron works beautifully when an entire property is being fenced in. 5. How much time are you willing to spend on upkeep or maintenance of your fence? It will be important to remember that, like anything else in your home, fences need some type of maintenance. 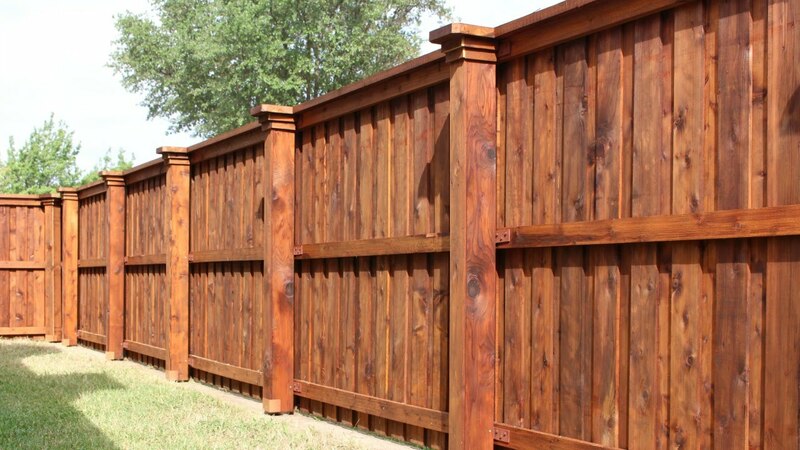 If you choose a wood fence and decide to stain it, your time invested will likely be greater than if you choose a vinyl fence that can be power washed. The beautiful country home, the vibrant flower garden, and the white picket fence—there are few things more classically American than that look. Perhaps that’s one of the many reasons picket fences have experienced such enduring popularity. Whether you’ve already built a fence or are planning out your project now, here are three ways to add curb appeal to your property with your picket fence. If you already have a picket fence but it’s looking old and faded, give it a fresh coat of paint. If you’re installing a new picket fence, make sure you consider what shade will work best with your home. Do you want a clean, white fence? What about a rustic whitewash which allows the natural wood to show through? Consider other colors as well. Picket fences don’t come in just white. Coordinate the color with the color of your home or the flowers in your garden. Consider planting bright blooms to contrast with the white of the fence. If your fence isn’t white, choose complementary colors. Flowering vines are always a nice touch as well. Or for a simple, low-maintenance option, plant pansies. A fence without a gate is like a face without a smile. Gates left open welcome guests in. Closed gates add a sense of mystery. Gates left slightly ajar invite people to explore that mystery. No matter how you look at it, gates add beauty and curb appeal to any home. There are many unique and beautiful options available. Don’t make your gate an afterthought. Tailor it to the look of your home. Whether you want to update your look or create a whole new look, Philip’s fences is ready to help. For more information about adding curb appeal to your home with a picket fence, contact us. Can my Deck Construction be Customized? Are you looking for a unique, customized deck construction design? A professional and reputable deck builder is able to craft your deck in a way that guarantees that you will receive precisely the look and feel you desire. Whether you are looking for a small or large deck, with a basic or extravagant design, your deck construction can be customized for even the most challenging conditions. 1. Mixed-Materials – Are you looking for a contemporary and modern look? Consider adding concrete elements to your wood decks, such as stairs, planters, built-in bench seating, or a low wall. 2. Multi-Level – Give your new deck dimension and definition using a multi-level design. The different levels will create defined areas, such as a dining area versus a sitting space, which is great when hosting a large party or cookout. 3. Fire Pit – Adding a fire pit focal point will turn any gathering into a social event. As the day fades, pull out the marshmallows, chocolate and graham crackers to keep the fun going and your guests can enjoy the fire. 4. Tree-Hugging – Would you like to find a way to make your deck a more integral part of your backyard? 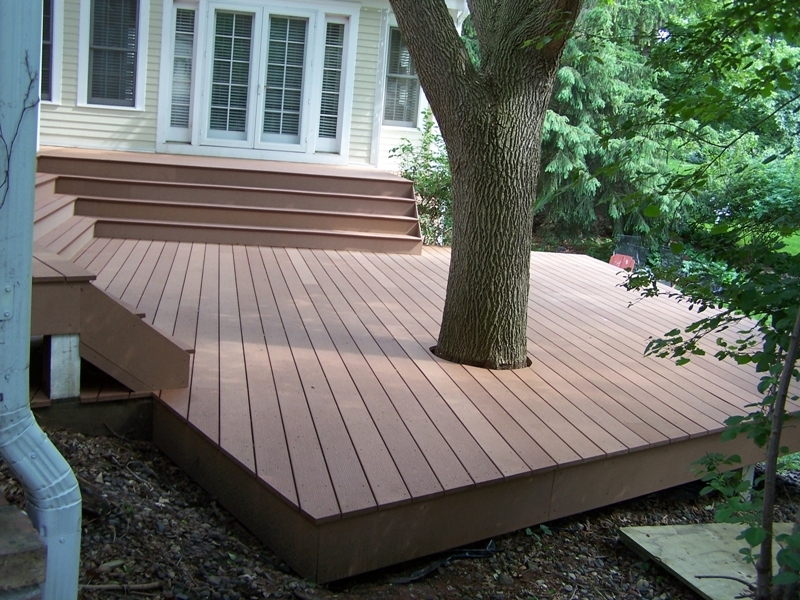 Have your new deck custom fitted around a tree to bring yourself closer to nature. 5. Master Bedroom Deck – You don’t always need to build a large, expansive deck in order for it to add value to your home and a positive impact on your lifestyle. A small deck off the master bedroom, with a couple of lounge chairs, is sometimes all you need. What haven’t we covered yet that is important to you? If you would like to talk about more ways to customize your deck construction or related topics, please contact us. Choosing the right fencing option isn’t always an easy task. The options seem endless. Are you a traditional white picket fence kind of person? Or are modern designs more your style? What about a customizing a fence that suits your needs and style? Custom fences are a beautiful option with many benefits. To find out whether one is right for you, read these three reasons. Fences are a great way to define your property boundaries. For one thing to consider is are you looking for one that is cost-effective especially if you have a large piece of property. Consider whether or not curb appeal is important to you. There’s nothing quite like a split rail fence to call to mind images of the Old West. 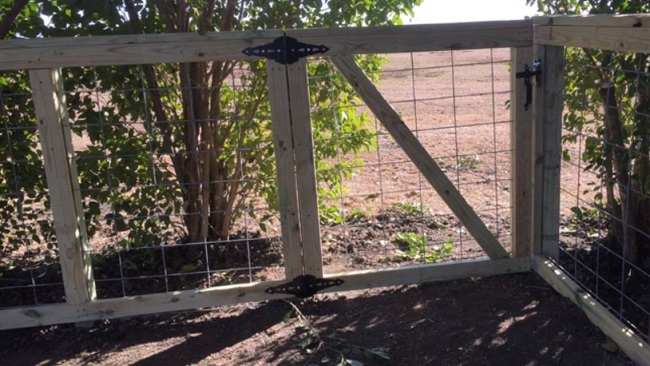 If cattle ranches are where you would like to be, consider a split rail fence. Even if you don’t own a ranch, you can bring the Old West to your backyard. There’s always the option of a traditional backyard fence. These fences have experienced such enduring popularity. They use wood making them a reasonably affordable option and are simple to install. 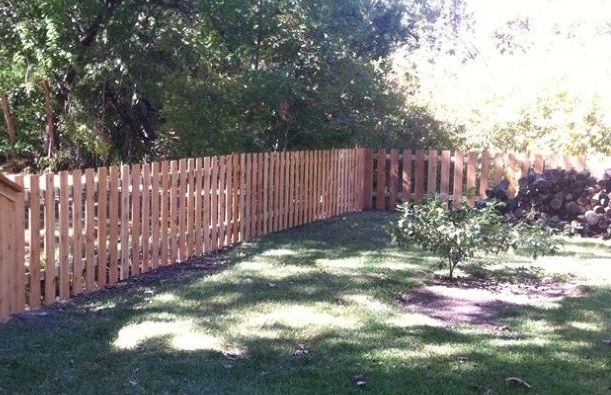 If you are looking for a new fence right away this is a popular pick you just might be interested in. If you are about to start a fencing project, the highly skilled team at Philip’s Fencing is ready to help you look through the options and find the best one for you. Contact us to see how we can assist you.